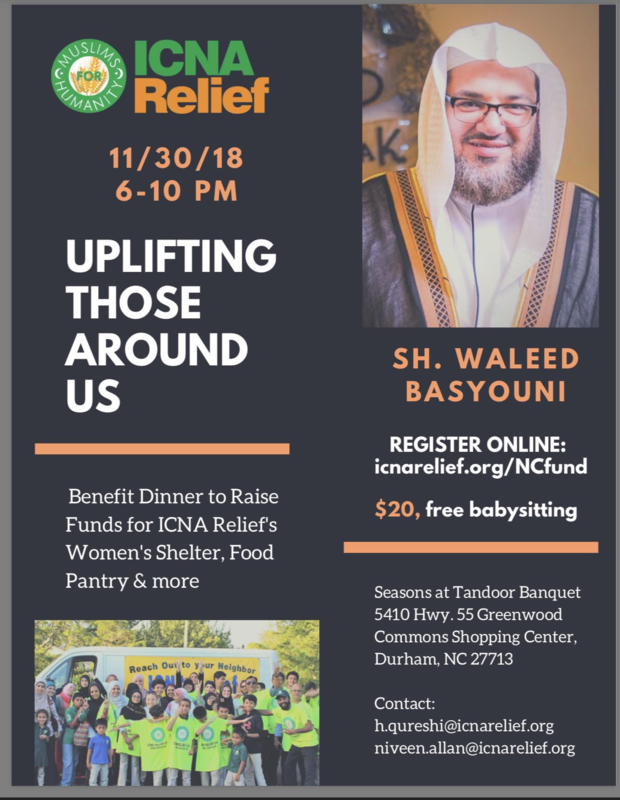 This is an invitation from ICNA Relief to their first annual ICNA Relief’s fundraiser taking place on November 30th, from 6pm to 10pm at the Season Tandoor Banquet in Durham, NC. The goal is raise funds to establish the first women’s shelter to service the Triangle area. Come join and be part of this noble cause.